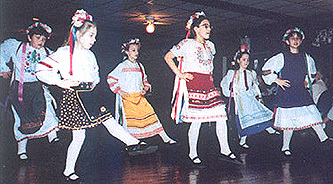 L)Some of the girls in their beautiful costumes at a performance for the church. R) The dancers in a performance for a local banquet. 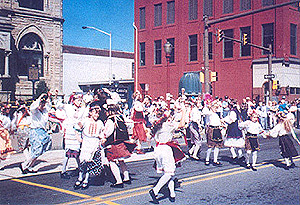 The dancers performing for the crowds at the Butler Ethnic Festival. 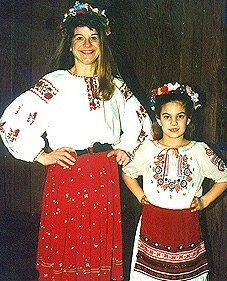 Terri, one of our dance teachers, and her daughter show off their beautiful costumes before a performance.